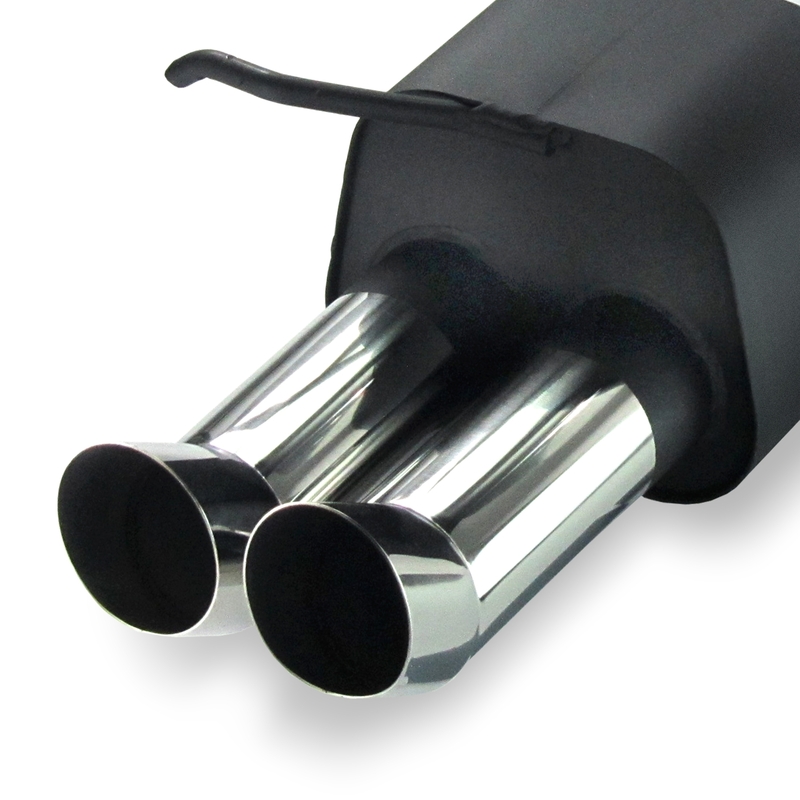 Stainless steel rear muffler with 2x 76mm stainless steel tailpipe straight, with ECE-license. 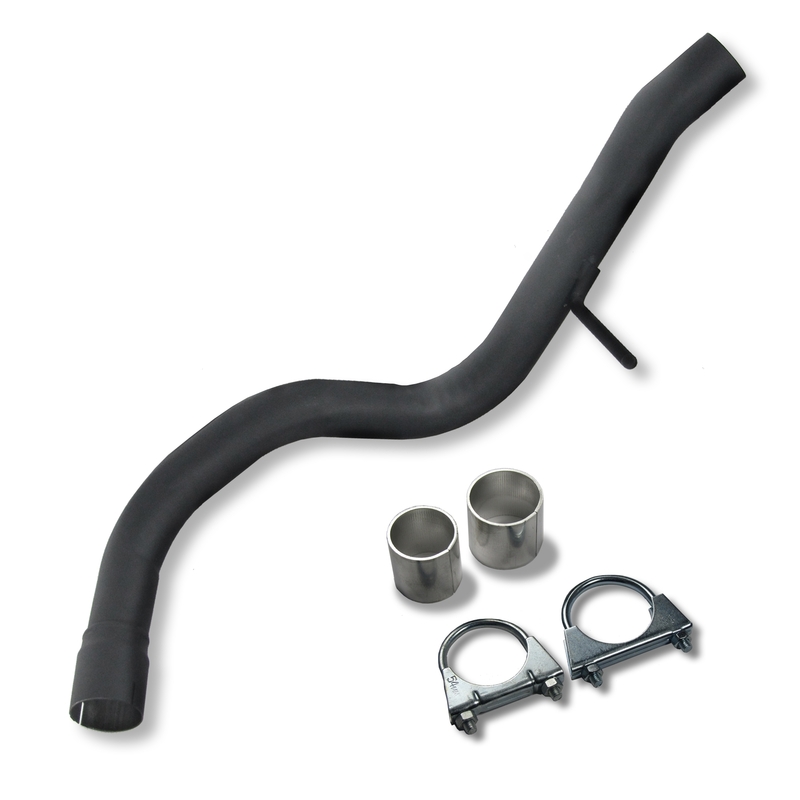 Easy exchange to the original rear muffler, normally all JOM rear mufflers can be mounted on the original mounting brackets. Because of the examination according to the ECE control a registration is not necessary. The states participating in the ECE procedure like France, Italy, Netherlands, Spain, Austria, etc. ... accept these type approval among themselve. 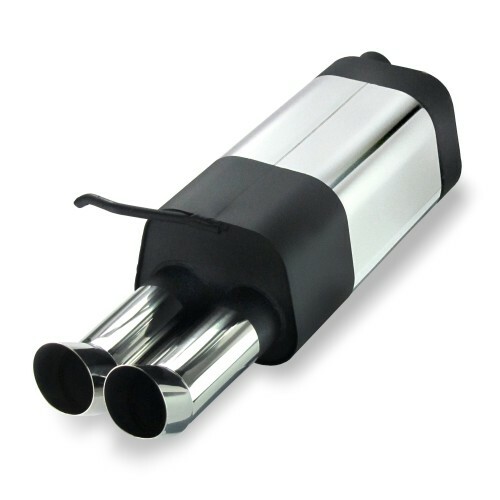 Precise fit as a supplement or replacement for standard equipment, optimizing engine performance and increasing efficiency through reduced dynamic pressure.